Easter is coming soon. Get your handsome little man dressed in some cool duds! Are you expecting your little man to arrive around Easter? 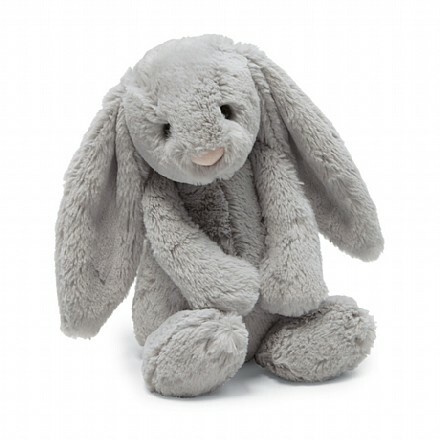 The Bailey Bunny Newborn Set in Grey from The Blueberry Hill is simply adorable! 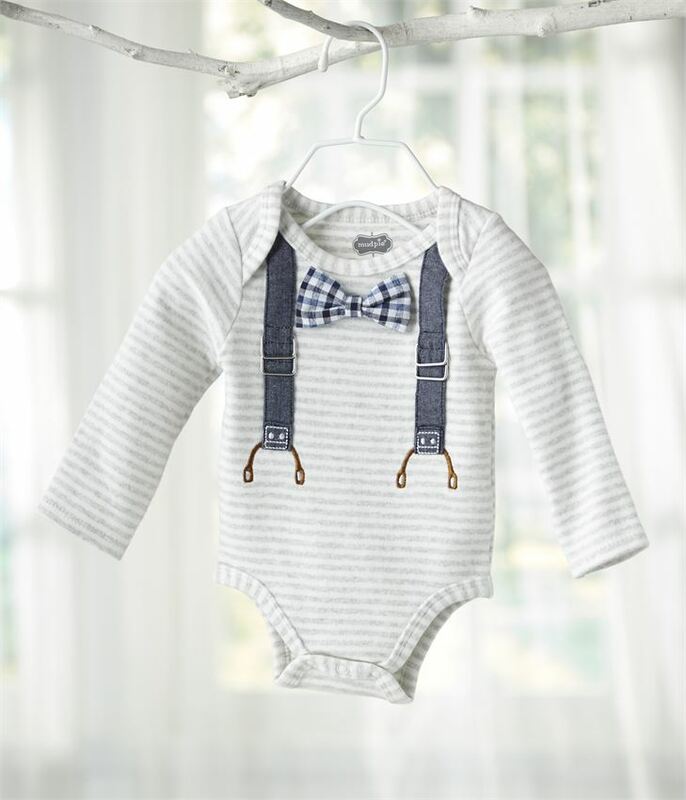 Your little man will be so handsome in this soft brushed cotton crawler with built in suspenders and two interchangeable snap-on bow ties! If your little guy is a bit too big for a crawler, we’ve got Chambray Suspender & Bow Tie Sets too! Spring has never looked so trendy! Layer this cool button up with your favorite jeans & a tee for a casual Springtime look! Funky and easy to wear this layering shirt is essential for every little boy! Shop more button ups. This adorable and oh so soft stuffed animal by Jellycat will be your little ones best friend! For a night time pal, buddy for the car, 1st stuffed animal and more you can count on Jellycat to be your new favorite plush toy for your child. If I Were a Rabbit book is a sweet gift to pair with any bashful bunny. Great addition to his Easter basket! For the more casual look, your little guy will be sure to love these fun graphic tees. Word to my Peeps and Hip Hop Bunny! Pair with his favorite jogger pants or jeans to enjoy Easter in comfy attire. Check out the full collection of trendy boys spring clothes.Shop SugarBabies for more great items to fill their basket with instead of just candy!